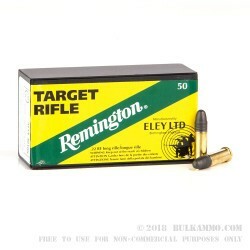 The partnership from Eley and Remington offers a common sense approach of Remington and the handmade match fundamentals of Eley, giving shooters an elevated performance in accuracy and reliability for when your .22LR shots really matter. This 40 grain lead round nosed bullet is actually something of a manufacturing marvel. It is capable of feeding and cycling reliably in most firearms but is given a special attention to detail that makes it capable of 1 inch groups at 50 yards easily. For a .22LR that’s quite impressive over the long term. The antimony/lead mix of the bullet is protected and given a bit of feeding help via a graphite coating. The match tolerances are held to a tight pattern and the production facility is strategically set up to produce the most efficient production process for ultra-match components. In the truest sense of the word, this ammunition is produced with absolute consistency. 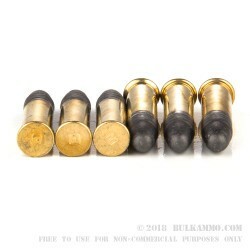 The consistent sizing of components and weighing of powder and projectiles; tight quality control and legitimate best practices for the production facility make this as consistent a round for .22LR you can get without going into the ultra-high tier where a significant amount of hand checking of components occurs. 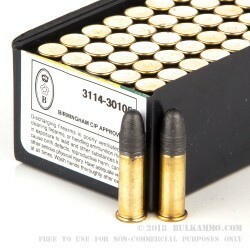 Hence, it should be no surprise that this is among the best cartridges at this price point for this caliber.